Family partnership working in the industry for over 40 years. Using long lasting materials to create beautiful and stunning wooden doors. Creating unique pieces of joinery work bespoke to your exact needs and requirements. Creating stunning hardwood windows with the finest materials on the market. Looking for a new staircase? 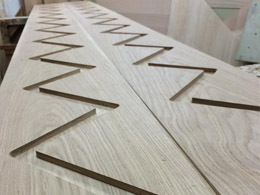 We have a wealth of experience in creating unique and bespoke staircases. 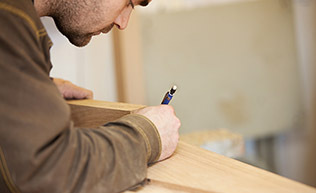 We at A Williams Joinery specialise in a comprehensive range of joinery services. Got an enquiry? Our team are on hand to assist you and ensure all needs are met. and carpentry services throughout Devon and the surrounding areas of the South West. Windows, doors, staircases and bespoke pieces are our speciality. 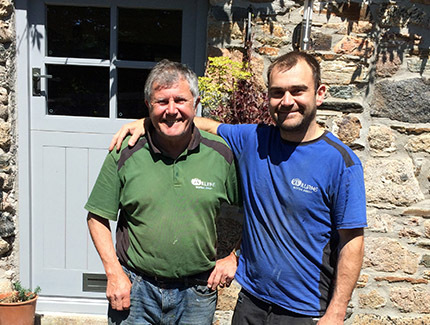 At A Williams Joinery, we are a well established family partnership who have been operating throughout South Brent and the surrounding Devon area for well over 40 years. We offer high quality, practical and stylish joinery pieces which not only complement your property's architectural era but also add to the functionality of the building. We aim to work directly with you, as the client, listening to personal requirements and offering an individually tailored joinery service to produce a final product you can be proud of. 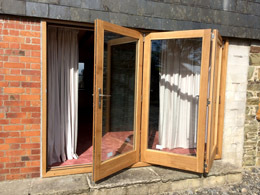 We work with both domestic and commercial customers including homeowners, architects and general builders, providing an honest and reliable joinery and carpentry service throughout the Devon region. "Deserves the five stars! Faultless joinery. So pleased with our new front door, stair step and banisters. Couldn't recommend them enough. Thank you again!" 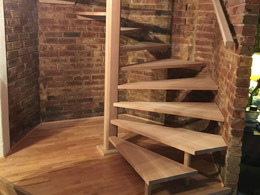 We design and manufacture bespoke staircases of any size or layout, or even to match an existing design. A stunning range of bespoke wooden doors, handcrafted to suit your exacting requirements. We craft a variety of bifold doors which are designed to help you extend your home into your garden. 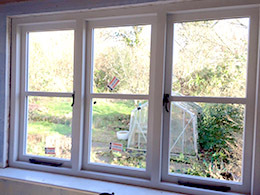 High quality, bespoke timber windows, designed and manufactured to suit the individual character of your home. We hand craft a stunning range of bespoke pieces including furniture, counters, cupboards and more. 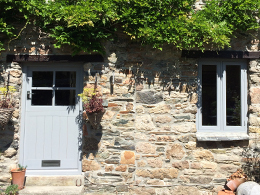 Find out how we can help to transform your Devon based property with our fantastic range of joinery services. With more than 40 years of combined experience in the trade, we guarantee high quality, practical and stylish joinery solutions which will not only complement your property's architectural era, but all add functionality and value to your home. 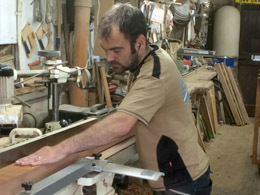 We specialise in hand crafting staircases, windows, doors and bespoke pieces for your home.